With the first group of Gunwerks gunners headed back across the ocean we were in full stride ready to pick up on the high standards they had set over the course of their eight days in Africa. The teams were now in full stride. Any refreshing with the system that may have been needed was now at match fitness. We weren’t going to sit back on our successes, a new group of hunters with even bigger expectations were on their way to camp. Aaron and Carl were still out on the hunt for Cape Grysbuck, which was proving to be a tougher hunt than expected. We spent countless hours and many nights in pursuit of what was starting to become our “Achilles Heel”. 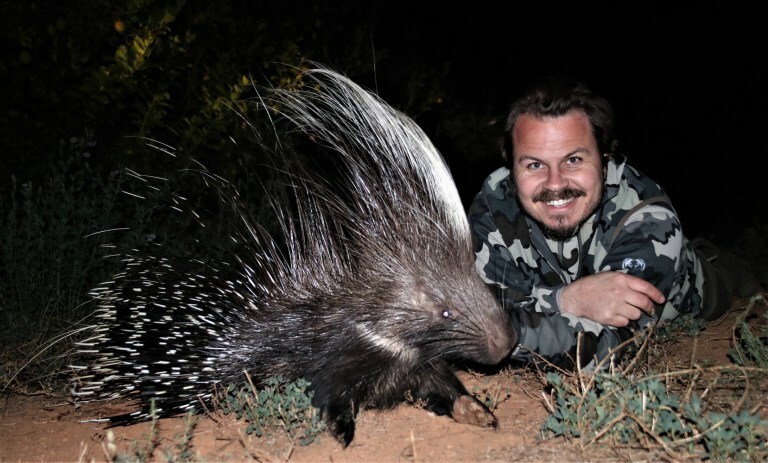 We did however bag a huge Porcupine on one of our late nights out. 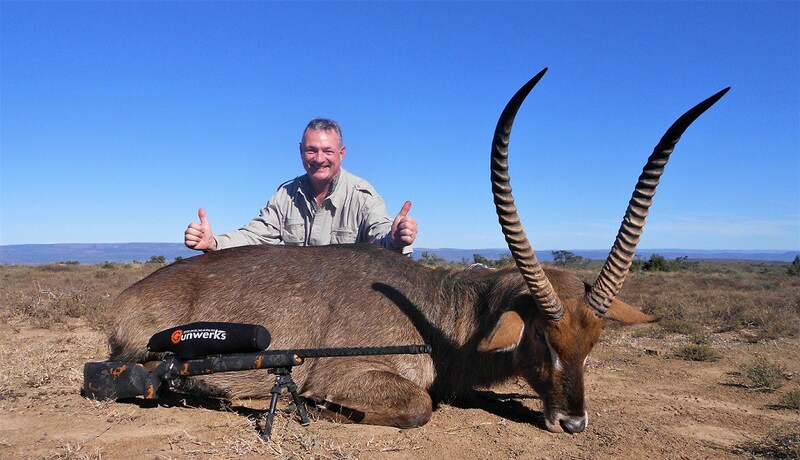 An interesting trophy not often seen by hunters travelling to Africa. While the two of us kept plugging away at our Grysbuck, the rest of the crew welcomed Dennis Charleton, Richard & Beth Battaglia, John Mercer, Scott & Linda Marshall, T.K Ganesh and Garrett Wall. 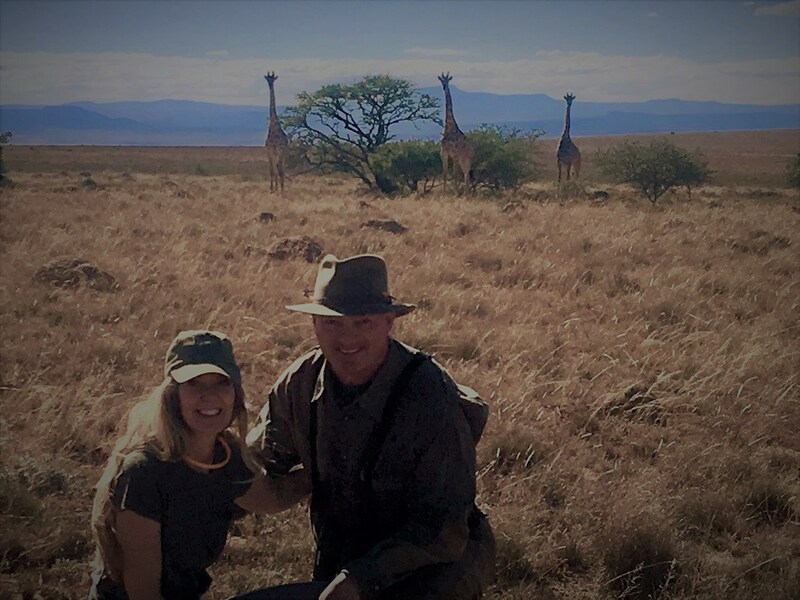 Traveling with Garrett was Aaron’s daughter, Alecta, who had come to link up with her dad to experience Africa for the very first time, like many of the group too. 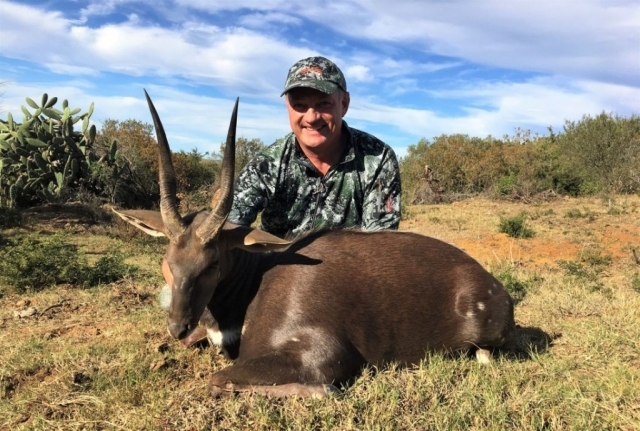 Scott and Linda Marshall teamed up with Professional Hunter, Louwrence Lombard, for an experience they would never forget. 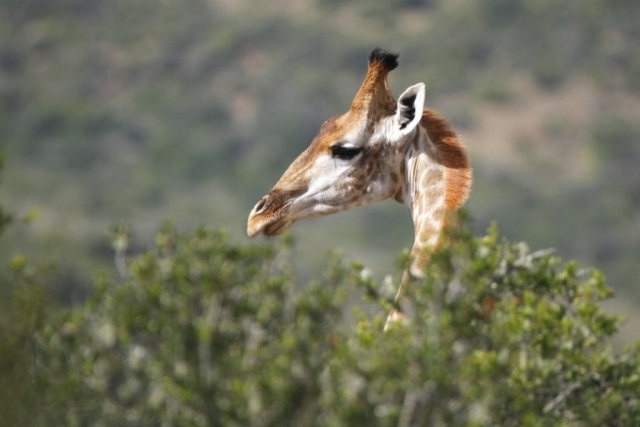 Scott would do the hunting while Linda joined him out in the field daily taking in the sights and sounds of the Eastern Cape. Starting from our southern base, Woodlands Safari Estate, they went after a number of spirals and a select few plains game species up in the north. 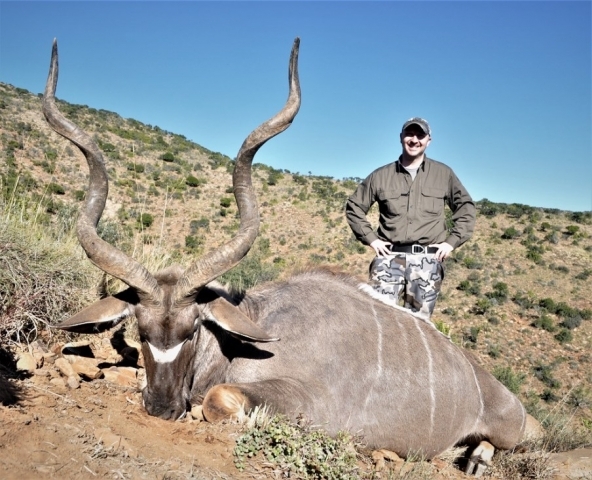 Scott’s Kudu in particular was one of the best of the season, and having witnessed the hard work that went into that bull, I can assure you Scott earned it. Upon their return from the Great Karoo, Scott approached me one evening; “Carl”, Scott started at me, “Do you possibly have any Cape Buffalo quota available for the year?” There I was thinking Scott’s pulling my leg until Linda walked over and stared at me anxiously waiting for an answer. 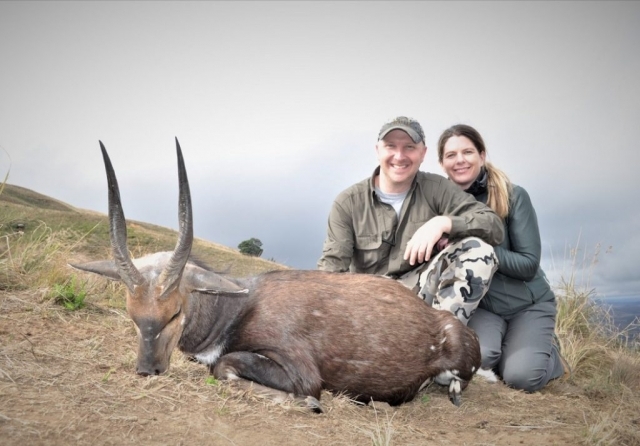 Turns out they were serious and before we knew it we were all on the hunt for a Cape Buffalo. 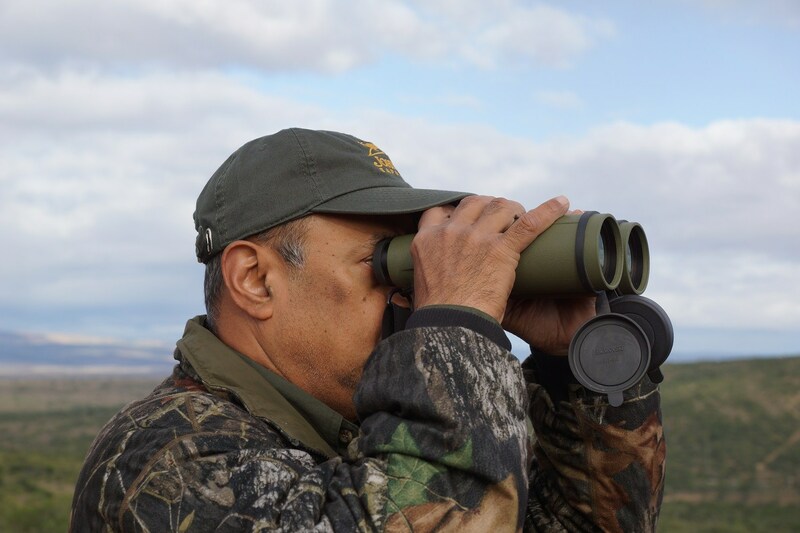 With time running out we pooled our efforts and threw men and binoculars at any known Cape Buffalo hideouts. Soon the spotters started calling in Buffalo sightings and the team had something to work on. From high up on a ridge one could see a beautiful bull feeding along with a group of cows going about their business unaware of the hunters viewing from above. 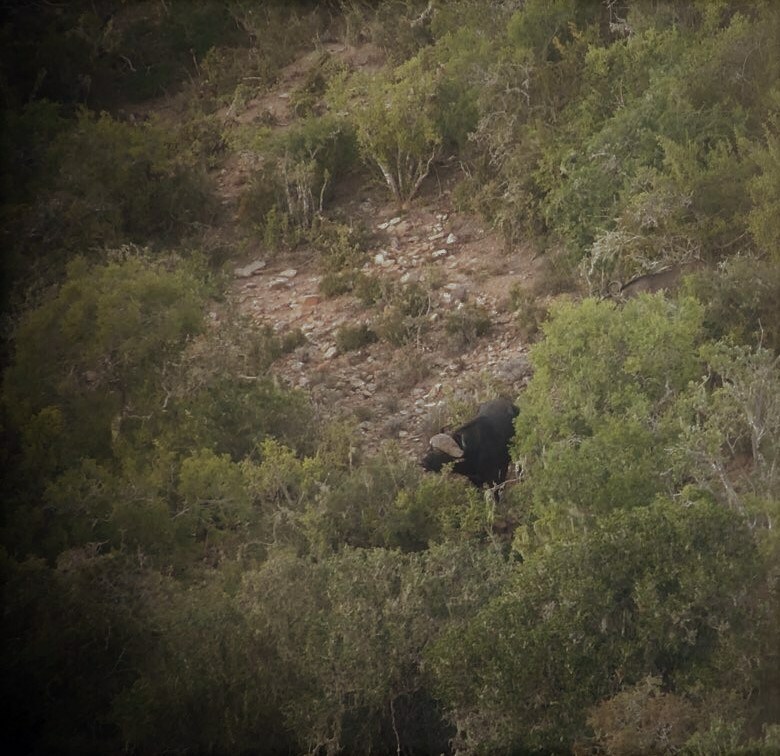 The guys snuck down to about 100 yards and then waited for the bull to feed out into a shooting position. Seconds soon turned into minutes and what felt like an eternity was amplified by the fact that this was a Cape Buffalo. One of Africa’s most dangerous. When the opportunity finally came Scott pulled the shot ever so slightly, sending the group of Buffalo crashing off into the undergrowth. 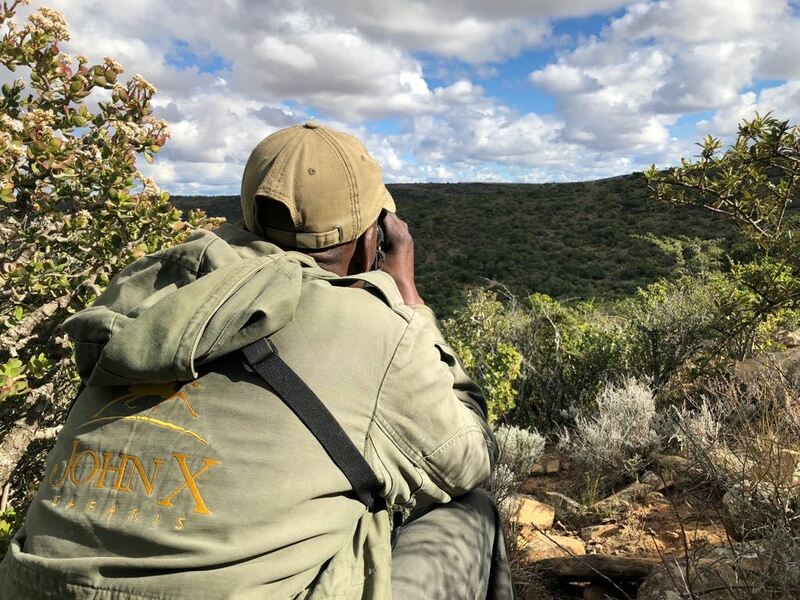 The bull was given some time to bleed out, giving the hunters a moment to clear their minds for the best possible follow-up in the situation they were in. Doing the wisest and safest thing, Louwrence called in PH’s, Ed Wilson, Ross “Stix” Hoole and Clayton Fletcher together with their trackers. Together they combined more than eighty years of hunting experience and dogs, setting off on a blood trail leading down into a nasty looking thicket. Scott positioned himself with Ed up on the opposite ridge, where all felt the bull would break cover at, while the rest of the crew and trusty trackers got going on the track. Soon the dogs were into the bull, baying him at close quarters at the bottom of a ravine. Scott and Ed made their way down towards the commotion and got another shot into the bull. Taking off yet again the hunters set off after him with the dogs in hot pursuit, finally coming to a standoff with a charging bull at twenty yards. 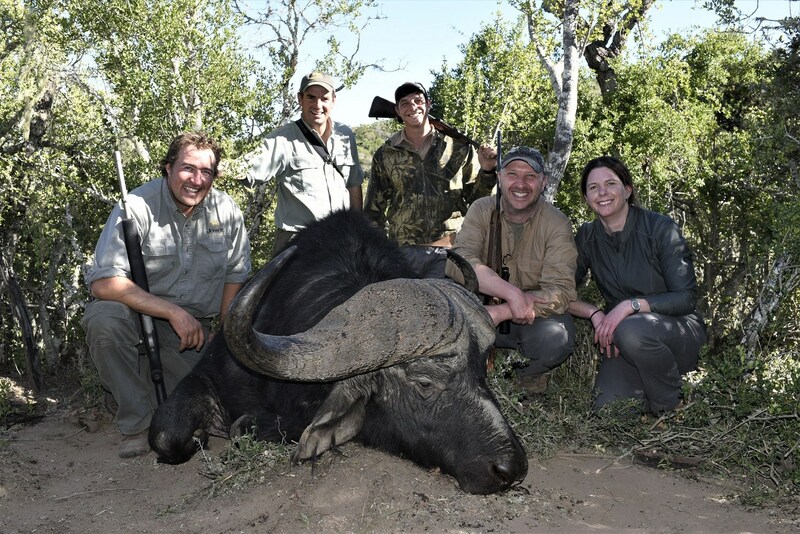 It took a team to get it done, but you’d agree those smiles say it all – What a hunt and what a superb Cape Buffalo! With the Marshall’s knocking it out of the park you’d be forgiven for wondering what the rest of the group could have been up to facing such stiff competition. 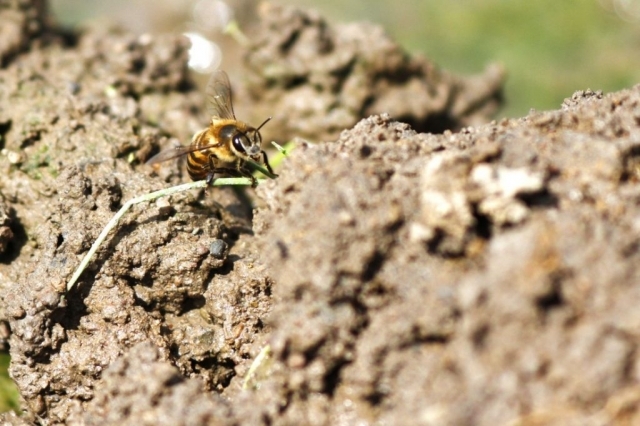 They weren’t doing badly themselves, in fact everyone was keeping up and giving one another a good standoff in the salt shed each evening. Richard and Beth Battaglia would team up with PH, Greg Hayes, and tracker, Bless, hunting hard, but making time for a sundowner or two along the way. 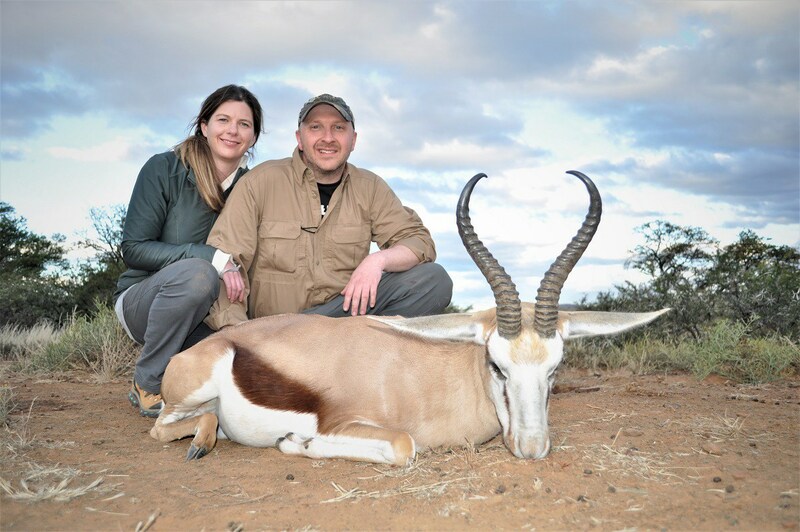 Beth enjoyed the luxuries of the Manor at Woodlands Safaris Estate, while the men got after a few beauties. 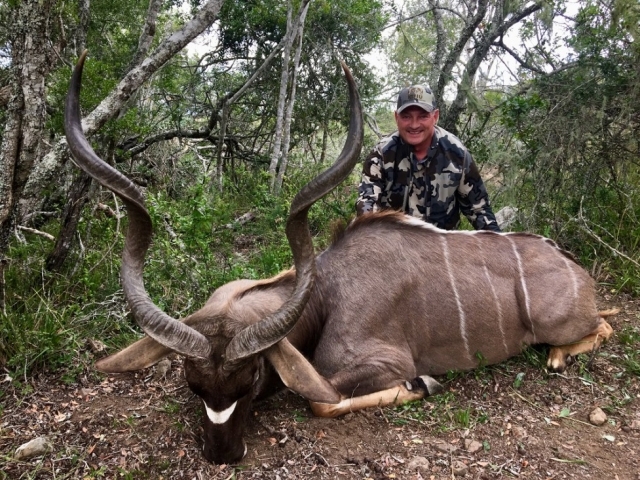 Rich’s Nyala proved to be a bull for the ages. 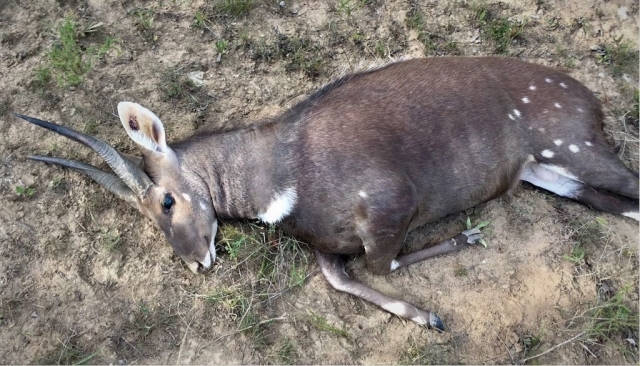 The sheer beauty of an Nyala is a given, and when spotted at first will leave even the most experienced of hunters in awe, but the flare and the protruding ivory tips makes this bull a truly special one. 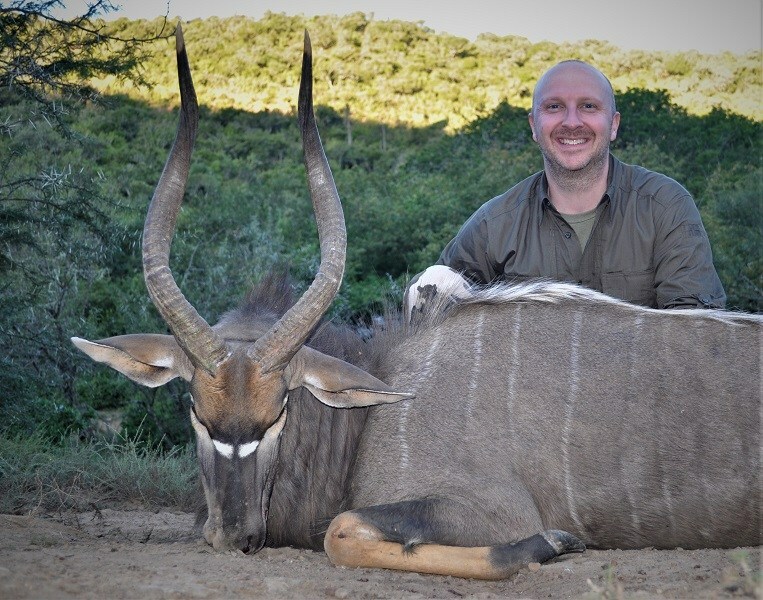 With such high quality Nyala making their way into the shed it was hard to think anyone could possibly match either Scott or Rich for quality. That was until T.K Ganesh joined PH, Ed Wilson, and tracker, Bongani. 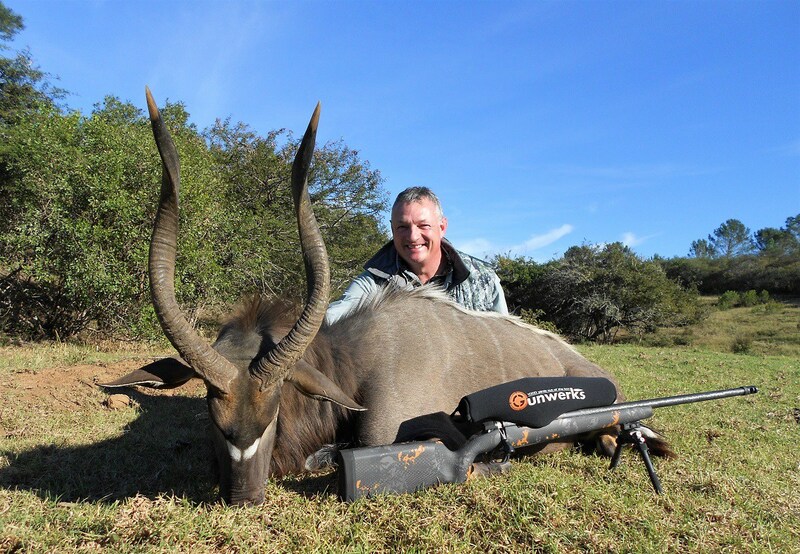 T.K had purchased a number of Gunwerks rifles prior to his arrival with us in Africa and was excitedly sporting his Gunwerks 7 mm LRM on this maiden hunt to the dark continent. Having only spoken to T.K via telephone, never meeting him in person until his arrival, I knew we were in for a fun-filled eight days with this man and his sense of humour. Never a shy one to crack a joke, extremely polite, and above all a first class gentleman who appreciated every second out there. It was such a pleasure hosting him and having the crew from GTS Productions along was a bonus. Ozzy and his team captured the true essence of this wonderful experience hunting in South Africa. As we reflect on the Marshall’s, Battaglia’s and T.K’s safari and the quality they were able to achieve one must make mention of the system that made it all possible. Very few of their shots were beyond 400 yards, and yet even if the gun was capable of that, it was seldom needed. 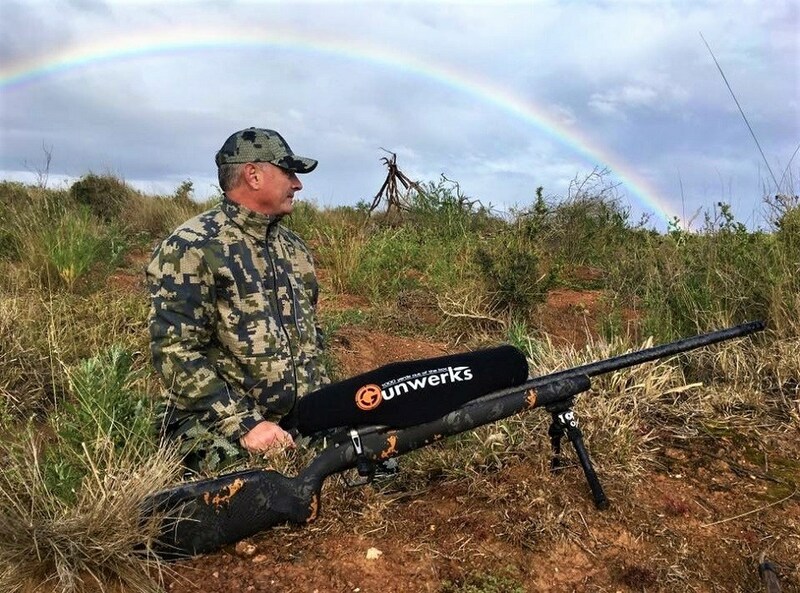 But what the Gunwerks system did do was allow the hunters to enjoy the assurance of a 300-350 yard shot with the same confidence as a 80 yard shot under regular circumstances. And if you’ve never experienced that feeling of confidence then you’re missing out on more than you should be. 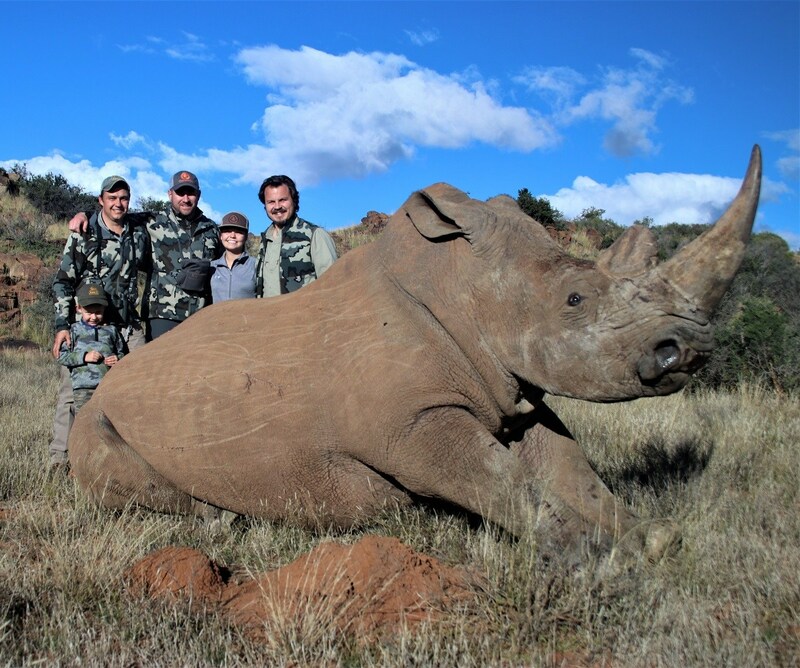 Join us again next time as we continue on the hunt with the remainder of the group as well as getting up close and personal with a crash of White Rhino on a vita-darting experience closer than usual….